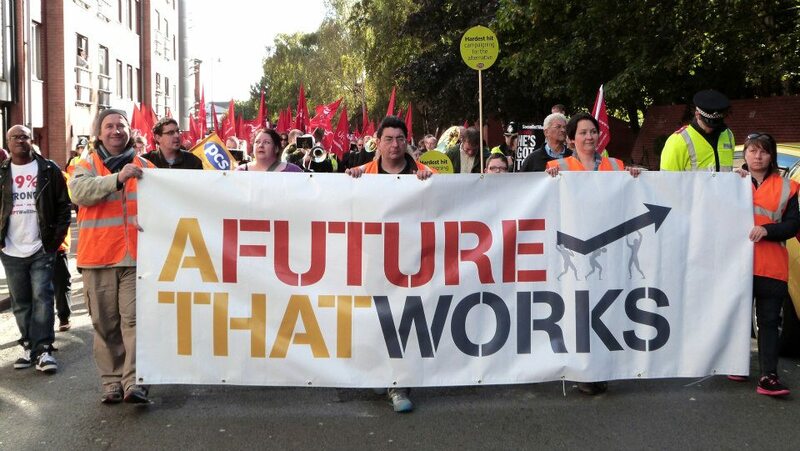 Comprehensive report, excellent video – absolutely cracking! 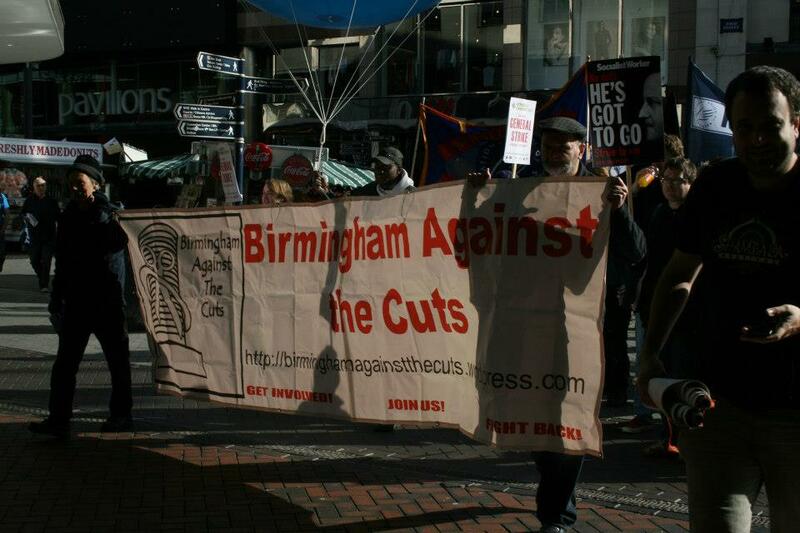 Around 2,000-3,000 people gathered on the streets on Birmingham last weekend to demonstrate for an alternative economic strategy to austerity, as the 2012 Tory conference started in the ICC. 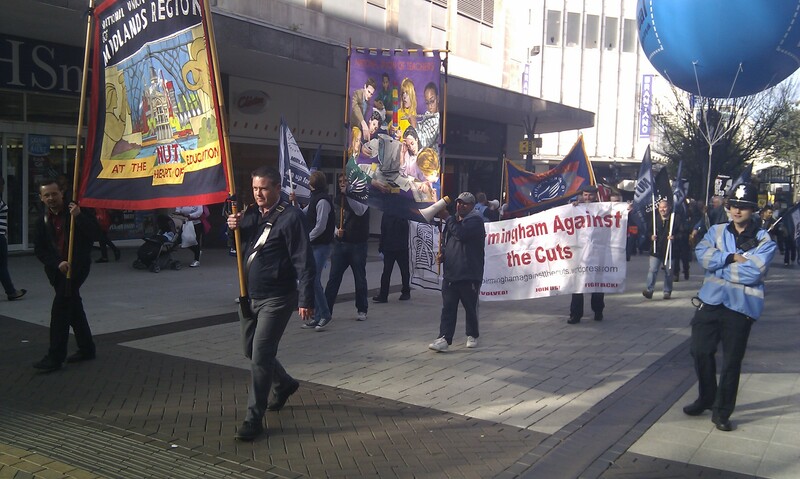 Birmingham Against The Cuts joined Birmingham NUT to meet on the High Street to march up to join the TUC, who had moved the start location to Victoria Square. 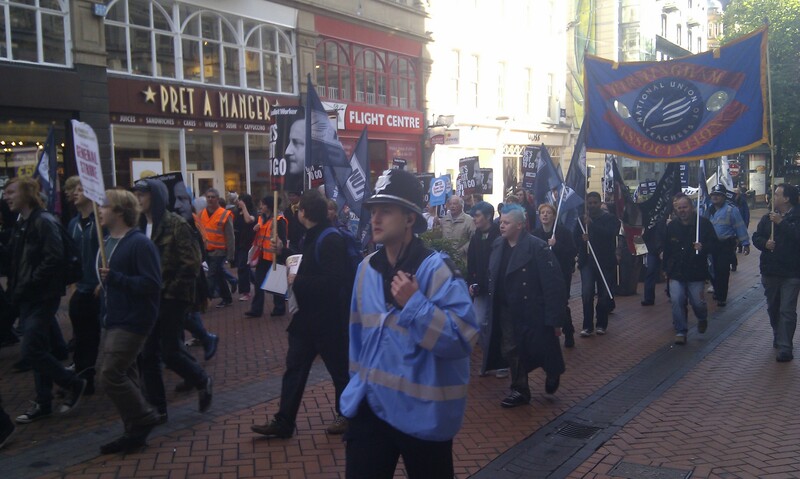 We waited until 11am to pick up anyone who didn’t know about the change, and then marched up the High Street and New Street to Victoria Square, joined on the way by students from the local universities, making this an impromptu education feeder march of around 100 people. This was very lively with chanting and although it was a Sunday morning there were a fair number of people around whose attention we definitely drew.